Home / FAQ / How does health insurance claims processing work? 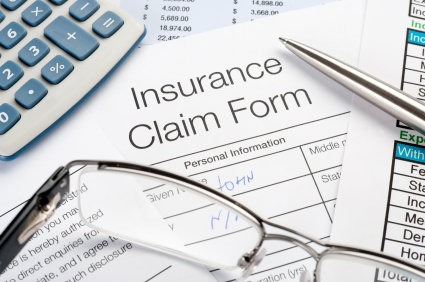 The claims process is usually straightforward, but there are those instances where the fine print can be a shock to those who aren’t prepared. Before you go to the doctor and claims are processed, there are guidelines to every health insurance plan as to what is covered and what you will have to pay out-of-pocket. Searching for health insurance quotes doesn’t have to be hard and by visiting this website, you can compare different health insurance providers by simply providing your zip code. It’s better to be safe than sorry in these instances. Before committing to any one policy, you need to research and make sure a policy will cover your specific medical needs. According to Discovery Fit and Health, it’s always beneficial to talk with an insurance representative to see what is and isn’t covered by your policy. Routine checkups are usually covered, but for those instances that can come up, treatment might not be covered, leaving you with a large bill to pay on your own. What happens if your health claim is denied? Claims are rejected from time to time. Some of the reasons are because the plan doesn’t cover a certain procedure or a medication. Some companies may also deem procedures as unnecessary or experimental. There are ways to turn a rejection into an acceptance. Before following through with a procedure or medication, it is best to call the company first to see if it’s covered. Additionally, it’s a good idea to call and see if an administrative error could be the reason for a denied claim. For instances where this isn’t the case, resubmitting the claim is helpful. This way it can be reviewed by a professional with knowledge of your procedure or treatment. This could help push your claim through. Keep in mind that timelines are very strict when it comes to the medical claim process. Once a request has been denied, staying on top of resubmitting paperwork is essential in getting your claim accepted. Each state, including Texas, has its own Department of Insurance that helps protect the rights of consumers. They also have regulatory processes to make sure insurance companies don’t take advantage of customers. Calling your state’s Department of Insurance will be helpful with the rejected claims process. How do co-payments and deductibles work in the claims process? A co-payment is a flat rate that a person pays every time they go to the doctor or seek out a medical service. These can range from $20 to upwards of $50 or more. For those who have severe illnesses, co-payments can quickly add up to hundreds of dollars each month. Deductibles are a little different from co-payments. They are a fixed amount of money that one has to pay out-of-pocket before their health insurance kicks in. Some health insurance plans will allow some services, such as a routine doctor’s visit or a trip to the emergency room to be covered before the deductible is met. Deductibles are yearly, so they will switch over at the beginning of the year whether you’ve met the deductible the year before. Deductible amounts will vary by plan and whether it’s for an individual or family. With co-payments and deductibles, you have out-of-pocket expenses that will be covered in the claim for the balance due being charged to your health insurance company. Knowing about these costs before seeking out services will be important when trying to stay within a budget. Are there other ways to pay out-of-pocket expenses? For those who are receiving health insurance through their employer, other programs will help with rising out-of-pocket expenses. Two examples are the Medical Savings Account (MSA) and the Health Savings Account (HSA). Those who have high deductible health policies do have lower monthly premiums, but having a backup plan is important, as well for those medical catastrophes. With an HSA and MSA, your pretax dollars are used to set aside money for health expenses. With an HSA, contributions are not only made by you, but also by your employer to help with the rising costs of medical expenses. MSAs do not have contributions from employers; but you can set aside more money than you make in a single year with your account. This is not the case with an HSA, which has a limit to how much you can set aside for both individual and family plans. To help with the ever-growing costs of health insurance, you can research different health insurance quotes online. Enter your zip code in the box now!